When my husband Ryan and I were recently in Mexico celebrating our 10th anniversary, we started chatting with a honeymooning couple one evening, and they asked if we had any marriage advice for them. Unprepared for such an important question, we mumbled through something lame–and then all four of us laughed about how we had no wisdom to share. But the other day as I was cruising in the mini van, singing at the top of my lungs to Adele’s new CD, I suddenly knew what my marriage advice would be. And since I can’t go back in time and share it with those eager newlyweds, I will share it here. But it’s false. And ridiculous. And I have a few things I want to say about it. No one person in this world can be your remedy. Not your spouse, your best friend, your mother, your baby–no one. These important people can certainly fill a dark day with a little more joy, but they cannot be the remedy that cures all pain and sadness in your life. 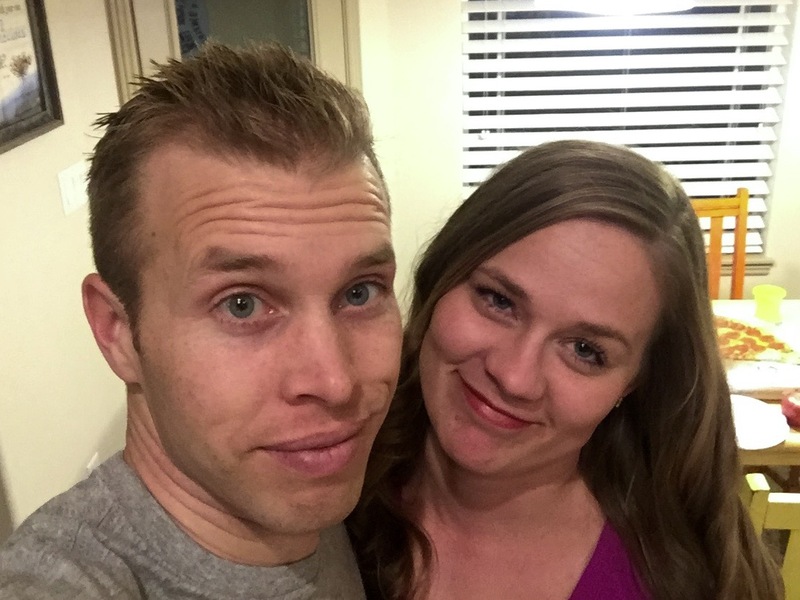 Early on in my marriage, I think I expected Ryan to “complete me.” I think I felt frustrated when he said something insensitive, or didn’t seem to notice my bad mood, or just fell short of the expectations that I had from too many years of watching chick-flicks and listening to romantic songs. He’s a human. He’s not a cure-all, or a mind-reader, or a savior, or a remedy. He’s a flawed, ever-learning human, just like me. And beyond that, life is hard. Pain and heartache will come, regardless of how much you love your spouse and want to protect them from it. Adele goes on to sing, “Come whatever, I’ll be the shelter that won’t let the rain come through.” Sorry, Adele–the rain is going to come through no matter what you do for your man. It seems like you should promise to sit by him in the downpour and hold an umbrella, instead of promising that your love will keep the storms away. I should clarify that my criticism is not really of Adele, and I still love the song and belt it out whenever I am in the car. The song just got me thinking, and I wanted to add a different image to this conversation about how spouses can support each other amid the heartaches of life. The image of being a “cushion against the writhing” took my breath away. To be there for someone. To sit with them. Not to take away their pain or be a consolation for their loss, but to merely sit with them as they writhe. To metaphorically put their head on your shoulder and stroke their hair, hold them close, be a soft place for them to land. This is what we can do for our spouses–for any person in life whom we love. In the original blog post, the author wrote about being this person for her children–to lighten their load and help them along, even when she can’t solve all of their problems for them. I have thought about this image when I rock my sick baby in the middle of the night. I can’t take her cough away, but I can be a warm body to lean on. I have thought about this image when I have spent the day making freezer meals with my sister who struggles with debilitating depression. I can’t take her illness away, but I can make her happy for a few hours, as we laugh and work together. And when, on a particularly low day, she can’t face the task of cooking dinner, she will have a stocked freezer to fall back on. I can’t solve all of the problems of the people I love–but I can do something. And it makes a difference, if only for a moment. In marriage, so often I would like to be Ryan’s remedy–his happily-ever-after, his happily-ever-everything. And I can take it personally when I’m not. Even with a practically perfect wife like me (wink), he still has grumpy days and disappointments, and I can’t expect that every moment of our married life will be bliss. Similarly, I often would like him to be my remedy and know the perfect thing to say or do to take away my pain. But I’ve learned that I need to tell him what I need and ask for help. And if I hold onto the delusion that he is going to “complete me” and make everything all better all the time, I will be dissatisfied with my marriage. He will never be the one-and-only cure to all of my heartache–but so often he is a cushion against my writhing. And that is what makes me love him so much. The other day, I was feeling really depressed. I struggle with anxiety and it is flaring up right now, and I felt so lonely being home with the kids, so overwhelmed by the mess, the hamster wheel of parenting, the never-ending to-dos. I texted Ryan and told him how low I was feeling. I will admit that I often send him whiny texts while he is at work (which is a terrible habit that should be the subject of another blog post–ha!). In response to these texts Ryan usually just says, “Sorry, Babe” or sometimes responds with infuriating questions from the personal development books that he is reading, such as, “Is that a fixed mindset or a growth mindset?” (Curse you, self-help books!) But on this day, he really heard me. He could sense my desperation. So that evening while I was gone for youth group at church, he looked around and found ways that he could soften my writhing. I had been taking down Christmas decorations that day, and when he saw the boxes, he finished packing them up and put them back out in the garage. I had intended to vacuum our bedroom, which was littered with paper dots from our toddler dumping the three-hole punch, but I had only gotten as far as taking the vacuum into our room before I had been interrupted by a little one in need. Ryan saw it there and did the vacuuming himself, as well as folding the two baskets of clean laundry that I’d asked him to fold before I left for the evening. I came home to a clean house, a much shorter to-do list, and the knowledge that my husband hears me, cares about me, and is on my team. Can he take away my anxiety? No. And I don’t expect him to. But just those small gestures of love meant the world to me. So my marriage advice to those newlyweds in Mexico is this: Look for opportunities to be a “cushion against the writhing” for your spouse. Consciously make life a little easier, a little brighter for them every day. Heartaches will come no matter how much you love each other, and it is dangerous to expect that either of you is going to be able to cure everything all the time. Forgive each other when you say the wrong thing. Ask your spouse for what you need, instead of expecting him/her to read your mind. If you eagerly serve and stand by each other, you will have a love story that is even better than the movies. So we sent the babysitter home, changed into sweatpants, ate the pizza we’d ordered for the kids, and cleaned up vomit, side-by-side. It was not exactly a romantic date, but hey–there is no one else whom I would rather clean up barf with than Ryan! Marriage is so good. Ryan is my best friend. And that has only happened because he has been there for me, by my side, in good times and bad–not as the perfect remedy for every situation, but simply as a soft place to land. Here’s to another ten years of growing and learning–and, above all, being there for each other through all sorts of writhings. During our family’s last bout of the stomach flu, I thought to myself, “I hope my kids marry someone they can clean up vomit with.” That’s true love. Love your ideas! I totally agree!! Congratulations on 10 years of marriage. That is some CLASSIC kid timing right there. I love that you literally had one foot out the door and baby was like, “NOPE. NOt happening!” Really enjoyed this post. Thanks for linking up at #SaucySaturdays. Beautiful. Thank you for sharing! My husband and I do marriage counseling with others and I will definitely use this.